Kenya’s Ruth Matete was crowned the winner of the fifth edition of Tusker Project Fame at Sunday’s grand finale. 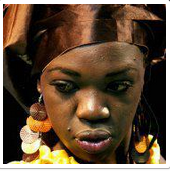 She walked home with Ksh 5 million and a recording deal worth Ksh 10 million with Universal Records. Doreen Muchiri from Kenya was the first runners up while Jackson Kalimba from Rwanda and Joe Christian Irankunda from Burundi emerged third and fourth respectively. Fifteen contestants from East Africa had 8 weeks to prove they were worthy of the region’s most coveted prize. Kenya won the inaugural season through the sensational Valerie Kimani while Uganda’s Davis Hillary Ntare bagged the title last season. Congrats Ruth and all the finalists. It was a great show of talent from East Africa! Ruth you did us proud. Please allow me to tag your dad in this message because he is a wonderful dad. I hope other men learn from him how to nurture and bring up kids unreservedly. Congratulations and fly high like an eagle!!! I felt it, i kept figuring it out,i think i knew it. All contestants had talent but im proud that Ruth kept my heart pounding for the crown.